NEW STOCK JUST ARRIVED AND IN WONDERFUL OVERALL CONDITION BOTH INSIDE AND OUT. 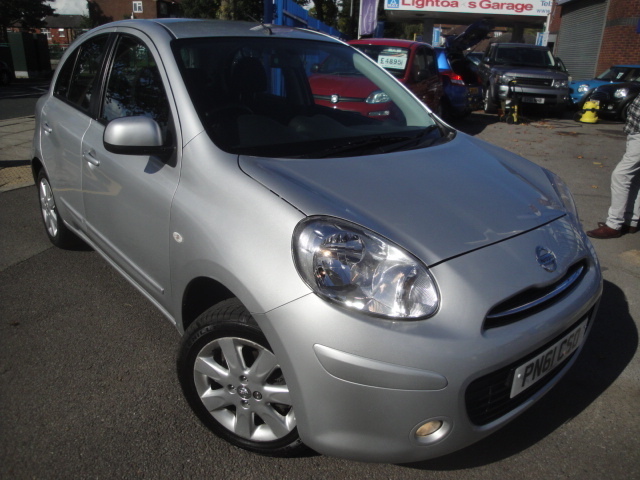 THIS MICRA HAS COVERED JUST 17700 MILES AND COMES WITH SERVICE HISTORY, FULL BOOKRACK AND 2 KEYS. FINISHED IN METALLIC SILVER WITH A DARK CLOTH INTERIOR, THE CAR COMES WITH SATELLITE NAVIGATION, BLUETOOTH CONNECTIVITY, ELECTRIC WINDOWS AND AIR CONDITIONING TOO. SERVICED AT 9084, 13339 AND 17453 MILES.